I remember being a skinny teenager who desperately wanted to find the best workout routine to build muscle. I searched all the fitness magazines, read all the books and searched the internet for hours every night. I was really desperate to find out the fastest way to add mass so I could become more confident and feel better about myself. I know a lot of other guys are in a similar situation. 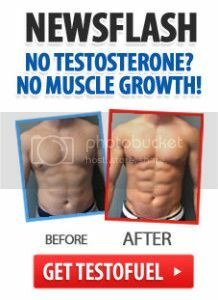 If you are a skinny guy who wants to build muscle. Skinny guys, or natural ectomorphs, have a tough time building muscle. However, when you use the right strategies for your body type you’ll see really fast gains. Discovering that people with different somatotypes should exercise differently was the biggest breakthrough discovery that helped me transform my body. Skinny guys respond best to heavier repetitions and shorter sets. This is because higher repetition sets cause your body to burn too many calories and fatigue the nervous system of ectomorphs. This is bad for the skinny man because burning too many calories will prevent muscle gain, and the ectomorph nervous system is more sensitive than other body types. Start lifting maximal weights in the 3 – 8 rep-range, and perform up to 5 sets of each exercise. If you want to build muscle and lose lots of fat. The larger guys who have some body fat to lose have some separate guidelines to follow. Your first priority is to lower your body fat percentage to around 10 – 15%. If your fat level is higher than 15% then you will be more pre-disposed to store excess body fat if you try to gain muscle at the same time. Use a safe, effective fat loss strategy to lower your body fat. Once you are there your hormonal profile will be optimized for muscle building. 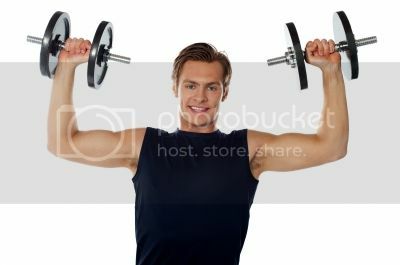 Another important tip to build muscle is to use compound exercises. This means using exercises that target multiple muscles at once. This builds more muscle overall, builds your strength and keeps you lean. The best workout routines to build muscle will also involve training at least 3-4 times per week. This will give enough stimulation to the muscles without fatiguing your body. Lastly, to build muscle quickly you need to eat lots of wholesome, natural foods. The right foods will help you grow more muscle than overpriced supplements, pills and drugs. Include lots of vegetables, fruits, meats, fish, eggs, nuts and seeds into your diet. Drink lots of water to hydrate your muscles and give you more energy. In fact, the biggest reason most guys fail to build muscle is not because of their workout routine; it’s often their diet that isn’t good enough. If you are a skinny guy, include heavier repetitions and more sets. If you have excess fat to lose, focus on doing that before starting a muscle building workout routine. Use compound exercises that use multiple muscles at once. Eat lots of whole, natural foods to help the muscle building process. Most men fail to build muscle as they do not eat enough good food. I am so glad that I discovered these secrets and it took a lot of trial and error. Now you can save yourself months of frustration by putting these principles to the test. When you build muscle you will feel stronger, more confident and ready to tackle other situations in life.